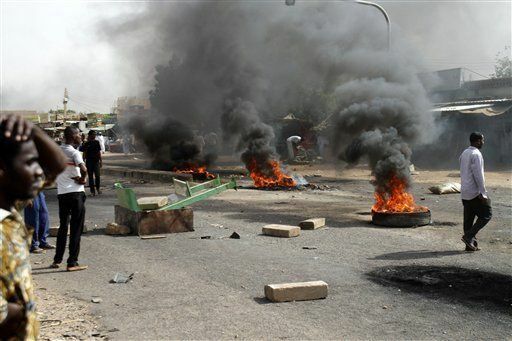 KHARTOUM – Clashes between Sudanese anti-riot police and protesters in demonstrations against a rise in bread prices have killed 19 people, including two security force personnel, according to the government. “Nineteen people lost their lives in the incidents including two from security forces,” government spokesman Boshara Juma said on state television on Thursday, adding that 219 people were wounded. Sudanese authorities had previously said that eight people have been killed in clashes in Khartoum and several other cities since the protests began on December 19. Amnesty International – a global rights organisation – has put the death toll at 37. Earlier on Thursday, a network of Sudanese journalists started a strike in the wake of deadly protests sparked by an increase in bread prices. “We declare a three-day strike from December 27 to protest against the violence unleashed by the government against demonstrators,” said the Sudanese Journalists’ Network, which advocates free speech, on Thursday, according to Reauters. The independent network said the strike was also a protest against authorities’ “barbaric” assault on press freedom, including censorship and confiscating newspaper editions.